The Gateway Arch is a 193 meter tall inverted weighted catenary structure on the Missouri River in St.Louis. The construction started in 1993. I have a great interest in such structures including the great bridges of the world. There was another interest for me. Charles Lindberg, who made the first trans Atlantic non stop flight (1927), was one of my heroes. The aircraft was the Spirit of St.Louis, funded by St.Louis business people. We at IIT M were keenly following the construction of this arch, still the largest in the world. 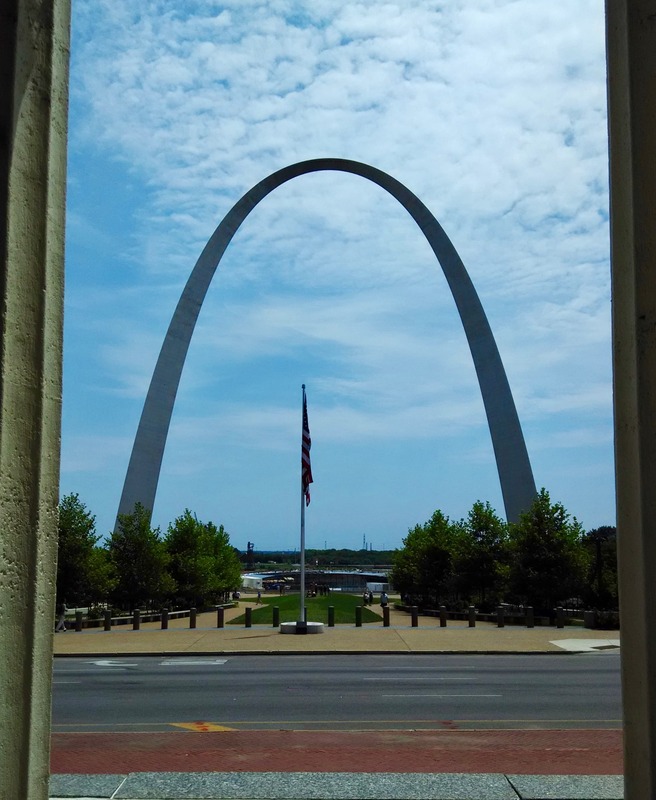 Last week I took a capsule tram ride inside the arch to the top. The ride itself is quite vertiginous. Stunning views from the observation ports at the top. This was one item from my bucket list that had not been completed. I had seen most of the great bridges of the world. I had always wanted to see this arch. Very satisfying. Really AWESOME!